It's always a pleasure to return to the Olympics. The first place visited when moving here 35(!) years ago this May was Lena Lake in the Olympics. The memory is clear; had a great hike, spotted a Dipper swimming in the stream, fantastic peaks, beautiful forests. Seemed like I had found paradise. 35 years later, it's more beautiful than ever. 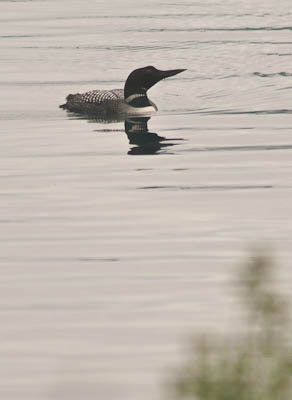 Loons are occasional visitors here. 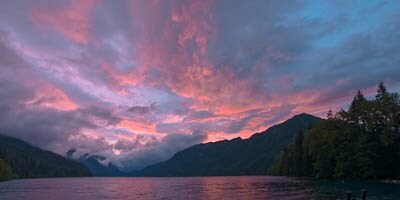 It's usually lone males prying the waters of Lake Crescent, far from shore. Morning revealed this one close in. Had to shoot through the cabin windows, as he would otherwise be gone in flash. 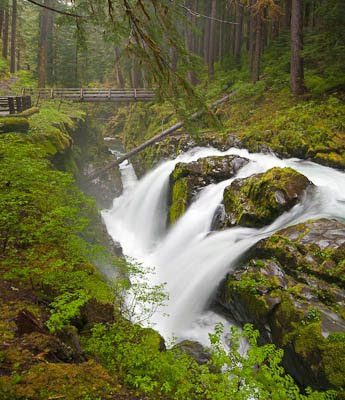 Hiked into Sol Duc Falls (Sol Duc means "Sparkling Waters" in Quileute), a popular hike near Hot Springs Resort. 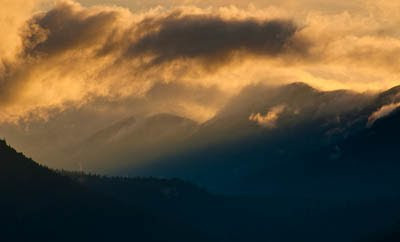 It is also the beginning of the trail to Seven Lakes Basin and the glorious High Divide. 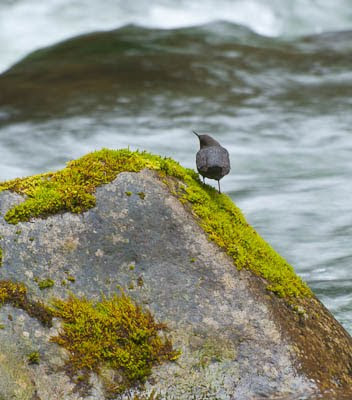 The prevailing Westerlies had been prevailing on the Olympics, with generous drippy, cold days, swelling the Sol Duc and creating quite a cascade at the falls. Evening brought some color before the gray closed in.